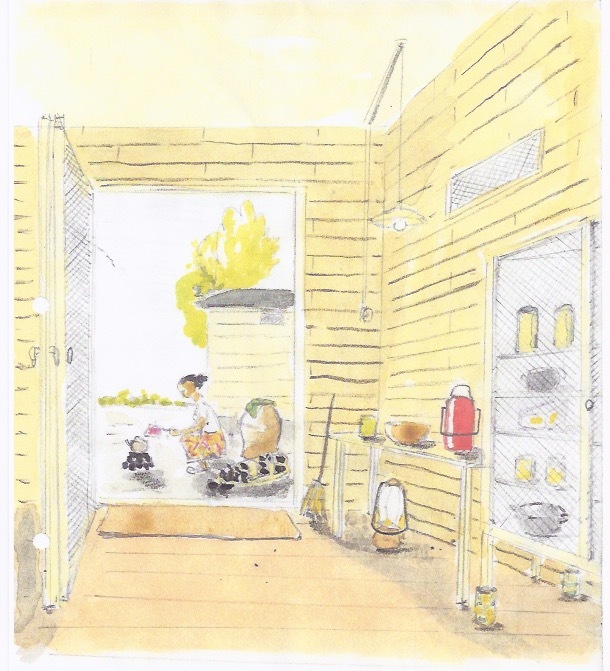 Drawing made by Jan van Hilten to recall the memories of life in the former Dutch East Indies. The drawing was made in the 1990s. There were many red ants in this wooden house thus the legs of the store cupboard stood in cigarette cans filled with pesticide. The baboe cooks dinner on arang (charcoal) outside the house.